It's time! 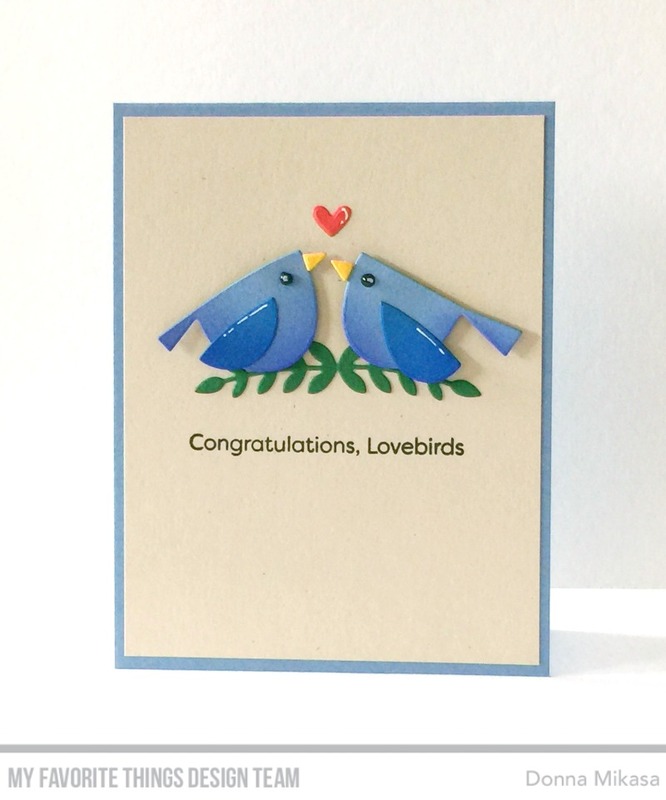 You may now purchase the Birds of a Feather Card Kit in the MFT Store! from A Tweet Hello. 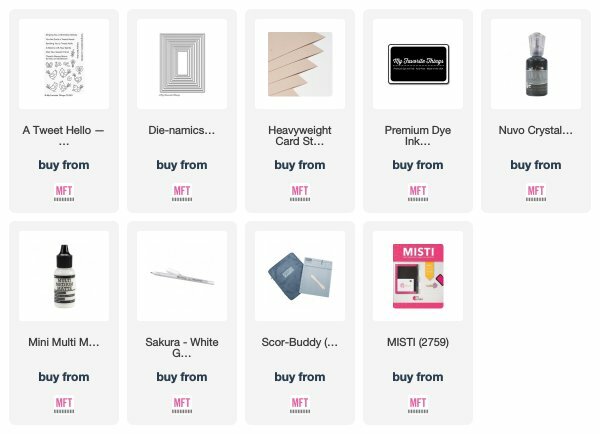 All products from the kit are designated in bold print. Dill Pickle card stock, and the small heart from Poppy card stock. assembled and details were added with a Gelly Roll pen and white paint. greenery were adhered and the sentiment was stamped under them. this kit is sold out, it will NOT be restocked so grab your kit now! Happy Shopping! These fat little birds are the cutest! How lovely are these two little birdies !?! 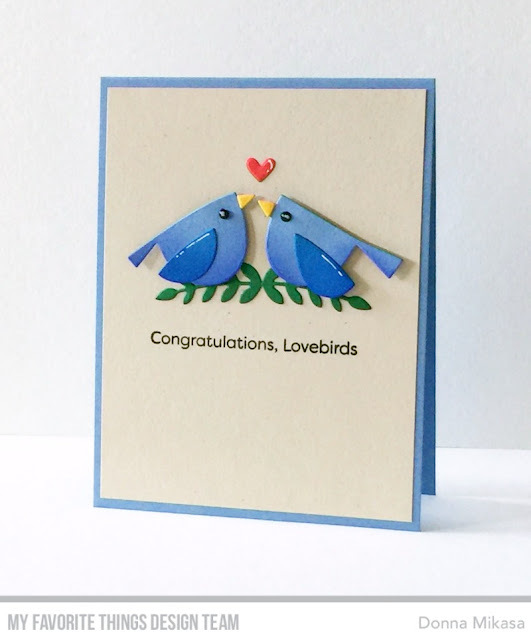 Thanks for sharing another great way to use this card kit. Can't wait for mine to arrive. Sweet card! Love these adorable birds! Love this CAS design! Adorable bluebirds! Sweet card! Love this kit! Love your cards and your colour combinations you always choose! So cute! I like the distressing you did on it! I love this precious card! So tweet!!! This card is so cute. Would be adorable for a wedding! Wonderfully sweet card! Fantastic CAS design. Adorable! Love the colors you used and the nice CAS design. Last year, I felt we got really lucky when we found out this space was available on the date we wanted - and now I know just how lucky we were! I can't recommend these wedding venues enough! I have nothing but positive things to say about this place.